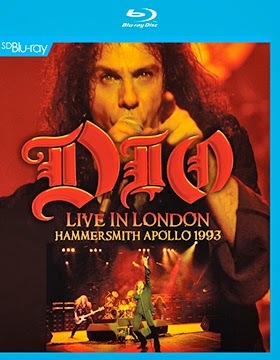 DIO Live in London – Hammersmith Apollo 1993 was released by Eagle Rock Entertainment on Blu-ray in May of 2014. In May of 2010, the world lost one of its greatest rock voices – Ronnie James Dio. Having had a 50+ year career in the world of music, his work remains some of the most revered in the world of hard rock and heavy metal. Dio, of course, is best known for his eponymous band, which was active for most years from 1983, up to Ronnie’s death in 2010. 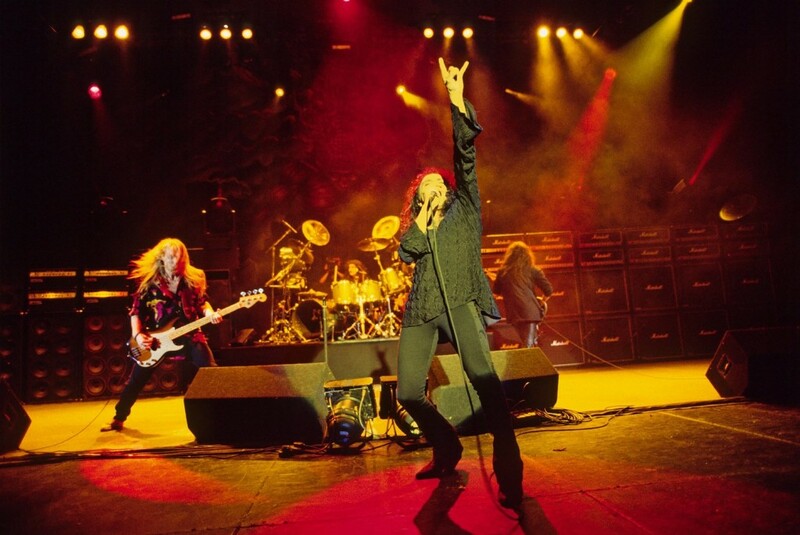 In 1993, the Dio band had just been reformed following a short-lived Black Sabbath reunion that spawned Sabbath’s 1992 studio record, Dehumanizer. This incarnation of the band featured drummer Vinny Appice (who played with Dio in Sabbath and the Dio band in prior years), and new members including former Dokken bassist Jeff Pilson, former Keel keyboardist Scott Warren, and guitarist Tracy G. This lineup recorded and released the Strange Highways studio album in 1993, and set out on a tour following the album release. 1) You cannot high HD versions of material that was not shot on an HD format. Many things over the years were shot on video tape instead of film to save money; it costs far less to shoot on video tape, but the format looks nowhere near as good as film or modern digital HD cameras. Naturally, back then, studios were not taking into consideration the fact that we would one day be watching our favorite movies, TV shows, and concerts in an HD format. 2) There are other benefits that come from using the Blu-ray format, including lossless audio tracks, and reductions in anomalies like compression artifacts that you deal with on the DVD format. 3) This marks a major step towards Blu-ray becoming the industry standard for home video. By my count, this is the third Dio (band) Blu-ray release from Eagle Rock, the previous two being a Holy Diver Live show from 2005, and the other being a Sacred Heart tour show from 1986. It seemed very strange to me that Eagle Rock had opted to release a show from this era of the band, which is often overlooked, and admittedly, not one of the more popular periods. It can be tough creating the perfect setlist for a show, especially if you are Dio. Ronnie James Dio has one of the richest histories of all hard rock and heavy metal performers (and one must take into consideration that Ronnie was previously a member of Dio and Black Sabbath as well). When touring to promote an album, finding the right balance between vintage material and new (new back in 1993, anyway) material can be a challenge. I admit, this setlist is a little heavy on the Strange Highways songs; roughly one third of the disc is dedicated to them. As such, it might be good to be familiar with that album coming to this concert. Fortunately, it is solid material; the late, great Ronnie James Dio never put out an album that I would truly say is “weak.” Fear not, though; this album still includes all the classic you want from a Dio show, including Holy Diver, Rainbow in the Dark, Last in Line, We Rock, and pre-Dio band material including the Mob rules, Children of the Sea, and Man On the Silver Mountain. Of course, in addition to the setlist, anyone considering this release is going to be wondering about the quality of the performance itself. The great thing about Ronnie James Dio is that he was always a showman from day one, and that definitely shows here. NO, you’re not going to get the epic performance of the 1986 Sacred Heart show, with a giant dragon and Vinny Appice drum soloing with Lightsaber-style sticks. But the musicianship is solid from start to finish on this one, and any die-hard fan of Dio will be more than happy with what they see here. The concert itself lasts roughly 90 minutes. As far as picture quality goes, as an SD Blu-ray, naturally the picture quality cannot compete with a good deal of the traditional HD releases that Eagle Rock has put out. But all things considered, I was actually impressed with how good this show looks on home video. The close-ups of the band members generally look great and are fairly well detailed. The lighting throughout the show is superb, only a few moments are problematic. A few shots here and there (mainly from certain specific camera angles) looks a little blurry, but this is not a huge problem. Ultimately, the show looks very good, and appearance-wise, even as an SD release, should still impress fans. It is also worth noting that, even while the show itself is not in HD, this is still a release with a lossless audio track. 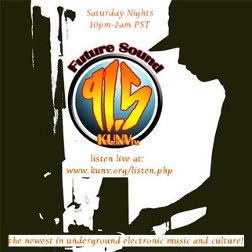 This show is not going to rock your speakers like a concert shot yesterday or the latest action film, but it is more than good enough for the material at hand. Once again, fans should not be disappointed. The disc contains only a single bonus feature, but it is one the fans will definitely want to check out. Basically, it is backstage footage of the band. You are not going to learn anything overly fascinating or compelling from watching this footage, but it is a priceless time capsule from this point in the history of the Dio band. Fans are sure to get a kick out of it! Overall, this is a solid show from one of heavy metal’s all time greats. Ronnie James Dio was a hard rock icon all the world round, and it is unfortunate we have lost him. This is one of the band’s more obscure eras, but of a high quality to fans nonetheless. 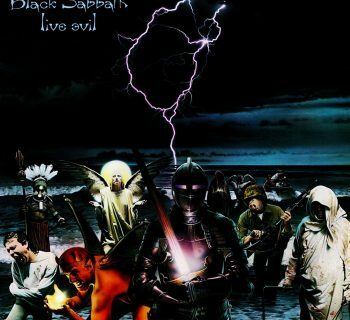 If you are Dio die-hard this is a no brainer; go to the store and add it to your collection right now. 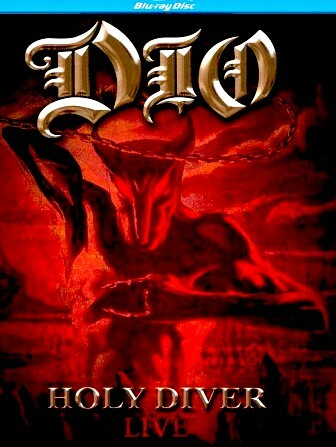 If you are a more casual fan, though, I would probably recommend one of the two other Eagle Rock Dio Blu-rays over this particular one; the 1986 show covers one of the band’s most classic eras and epic shows, and the 2005 Holy Diver live show features that album in its entire plus other Dio hits, including pre-Dio band ones, meaning it plays like something of a “greatest hits live” show. Still, no Dio fan is going to be disappointed with this 1993 offering from Eagle Rock. Very highly recommended! Sin City Sinners All-Stars Welcome Carlos Cavazo of Quiet Riot and Ratt Fame! Loudness - Celebrating 30 Years of Thunder in the East on a Live Stage!